THE PICKIEST EATER IN THE WORLD: SEAFOOD CHOICES AT DENNIS THE GRILL BOY: THE SPARK PLACE CUBAO! 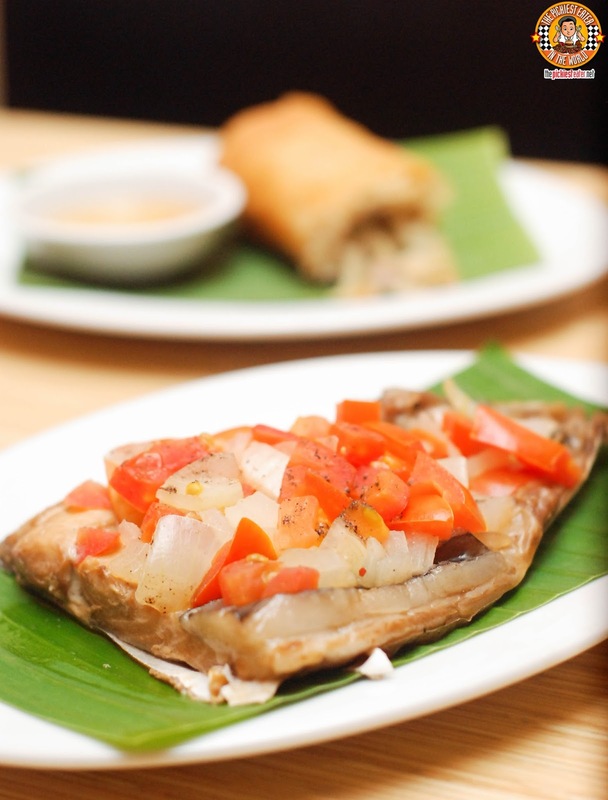 SEAFOOD CHOICES AT DENNIS THE GRILL BOY: THE SPARK PLACE CUBAO! With the Lenten season underway, I've been looking for more seafood options that I indulge on regardless if it's a Friday or not! 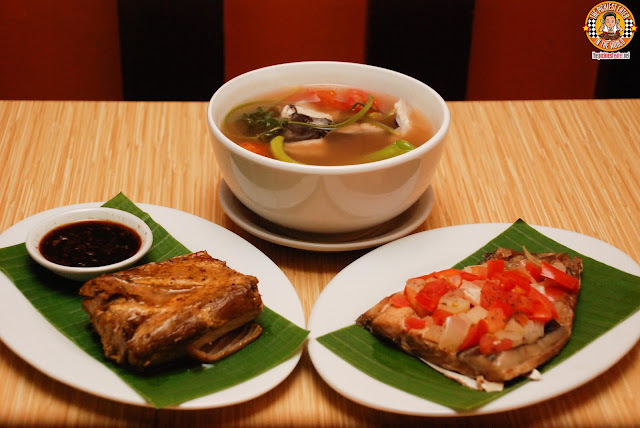 I thought I'd share with you Three of my favorite Seafood dishes from my favorite Fast Casual Pinoy Restaurant, Dennis The Grill Boy! In case you haven't been to Dennis The Grill Boy that I frequent, It's at the 2nd Floor of The Spark Place Building along P.Tuazon St., Cor. 10th Avenue in Cubao. I'm there quite often, and I've actually met some readers there already, so in the event that you're in the area, please drop by and say hello! 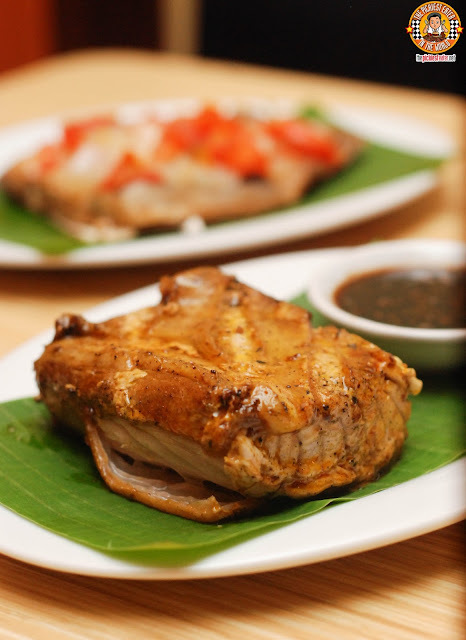 Dennis the Grill Boy is more known for it's meatier dishes, such as the Pork BBQ, Sisig, and Boneless Chicken Inasal, however, they do have some Seafood dishes as well, that is perfect not just for the Lenten season, but when you're looking for a break from the heaviness of pork and beef! My brother in law Julio is the Sinigang Aficionado in my family, and Dennis The Grill Boy's Sinigang na Tiyan ng Bangus (P125) got his stamp of approval! 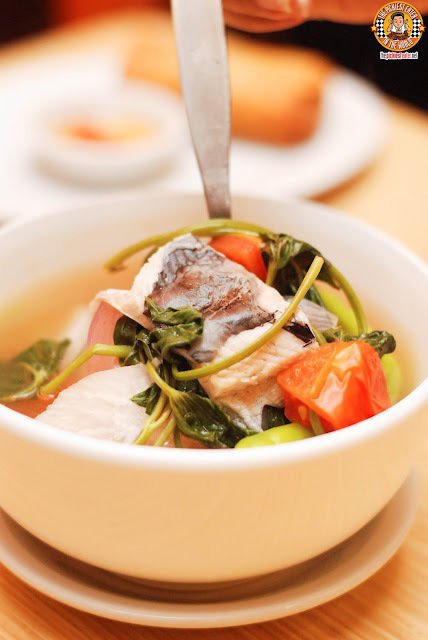 It had the sour broth that he looks for in a good Sinigang, and mixed with a medley of fresh vegetables to go with the delicious Bangus Belly! The popular misconception about me being a picky eater, is that I don't eat Seafood. That's actually not accurate, because I consider fish as one of my favorite proteins, believe it or not! There's a good chance that I might even choose a fish dish over something like Chicken or Beef! One example is Dennis The Grill Boy's delicious Pinaputok na Bangus Meal (P99), which I order nearly as often as I order the meat dishes (gotta have balance!). I'm a sucker for the "Taba" of the Bangus Belly (haha maski sa isda, nag hahanap pa rin ng taba! 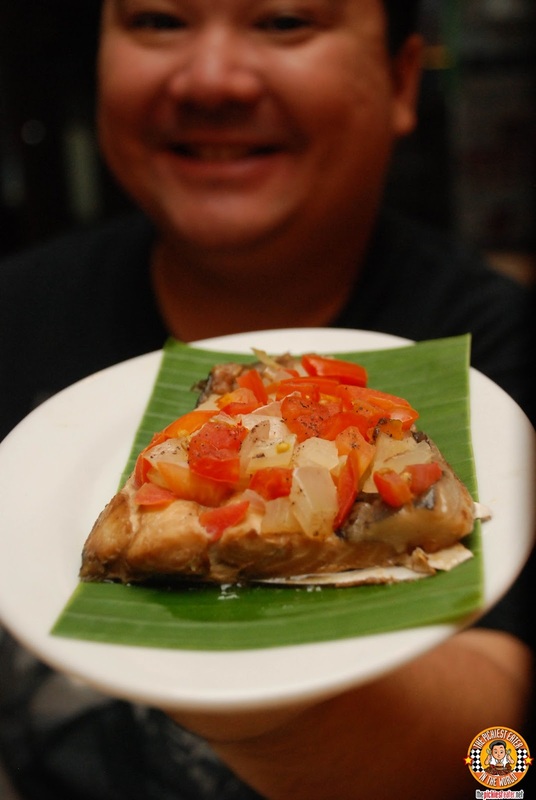 ), and I love how the Bangus meat maintains its juiciness even after being grilled! In case ya'll were wondering, I do eat this very often, but I have them remove the tomato because of my acids.. Dennis The Grill Boy does special orders for their customers, although it might take a few minutes longer than it normally does. Another option you can have is the Grilled Tuna Belly Meal (P125). This bad boy was grilled so masterfully that the meat still is so incredibly moist, you'd swear they just caught it fresh from the sea! The tuna is seasoned perfectly and is wonderfully flavorful. Don't let the size fool you either. The slab served is quite thick so it makes for quite a filling meal, especially as an Unli-Rice Meal. Yup, you heard me right! At P125 you get an Unli-Rice Meal!! I will categorically say that Dennis The Grill Boy is the best Bang for the Buck Pinoy Fast Casual Restaurant out in there today! Stay tuned because I'll be doing a readers Meet/Eat up at The Grill Boy soon! Check out the Video I produced with Muvo Media..
Baby Rain and Her Cousins are the stars! P. Tuazon Cor. 10th St.
APPLEBEES: CELEBRATING EVERYTHING AND HAPPY HOUR!